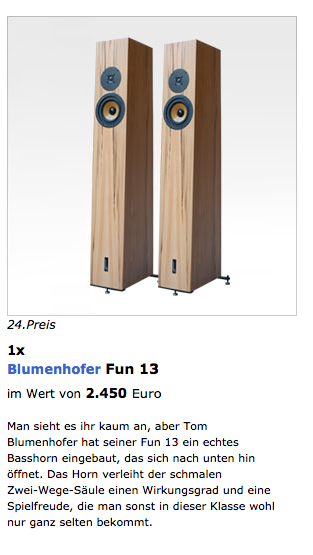 The aim of the show was not presenting Blumenhofer, but Blumenhofer has been chosen as a tool to present the other HiFi components in the game. This is for us an even bigger compliment: people should concentrate on music and listening. 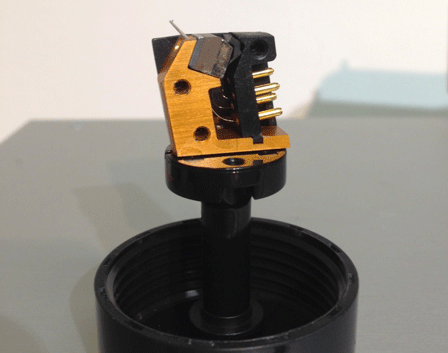 Star of the show were several Ortofon cartridges on an Extension 10 Tonearm. Aim was to demonstrate the difference between several cartridges. Electronic from Pro-ject, the reference series. 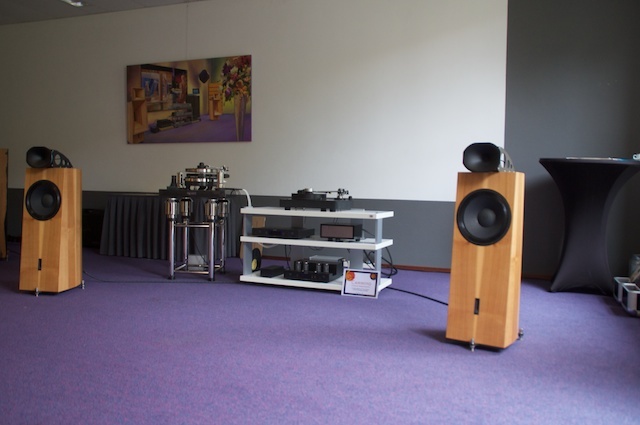 Although the star was Ortfon, the visitors paid high attention to the loudspeakers, and even women appreciated the look and the music our loudspeakers have been able to deliver. 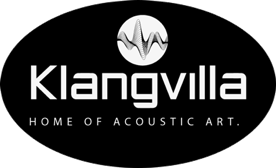 This year we participate to the Leserwahl of one of the main german Audio publisher. - our Fun 17 in the category "Standboxen bis 5.000€"
- our big Fun 17 in the category "Standboxen bis 10.000€"
Go there and give us Your vote!! 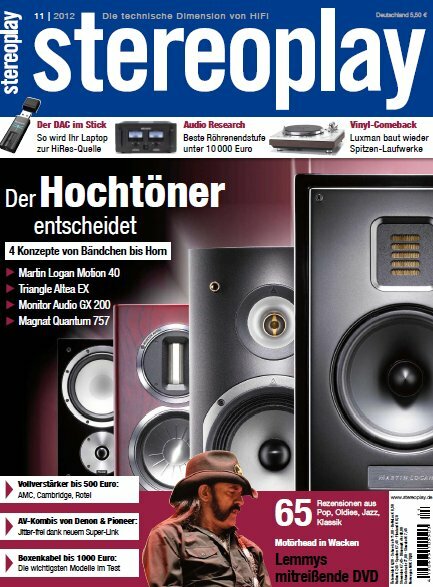 In the Stereoplay 11/2012 there is a very enthusiastic review of our Fun 17. After the Fun 13 and the Fun 10, we extended the quarter wave length horn principle to our 17cm Peek woofer and the result is the Fun 17. It has already been positively tested by Stereoplay in this (now) online available contribution of Holger Bierman. It will be available for sale starting December 2012. Have Fun!